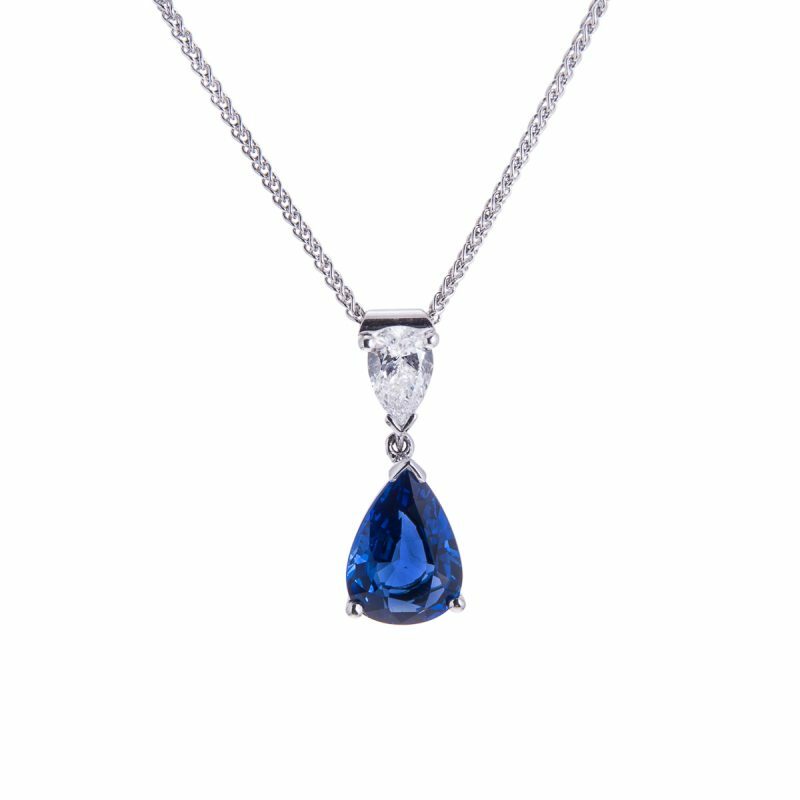 Show off your sophisticated style with this sapphire and diamond drop pendant. 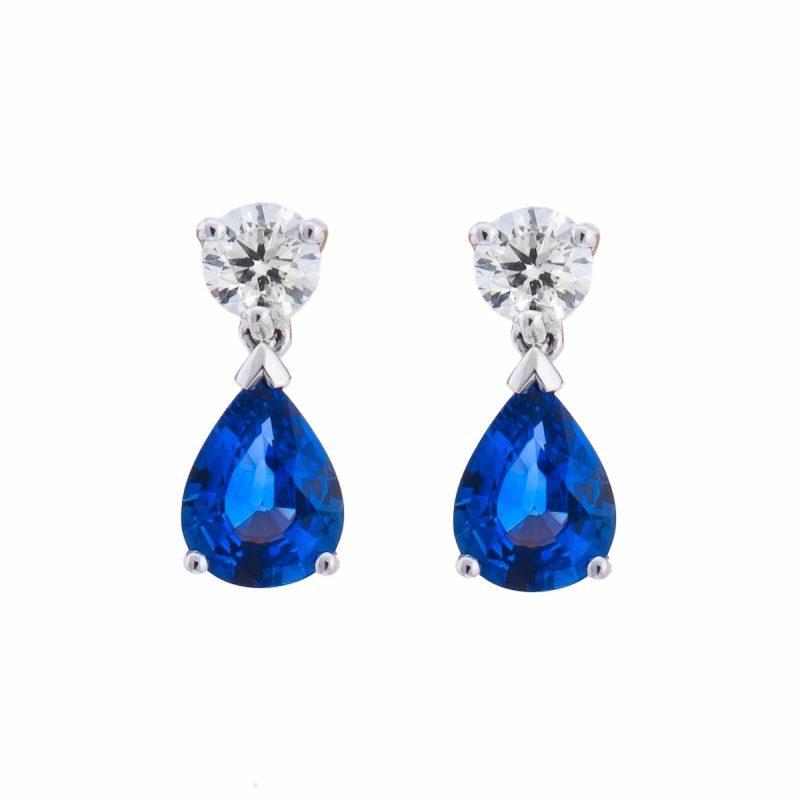 The exceptional colour of the pear cut sapphire is mirrored by a pear cut diamond. The pendant is able to move freely on the chain and is all mounted in 18ct white gold.